Good luck. I hope it comes out good. Take more pics please! What product are you going to use to fill the cracks? 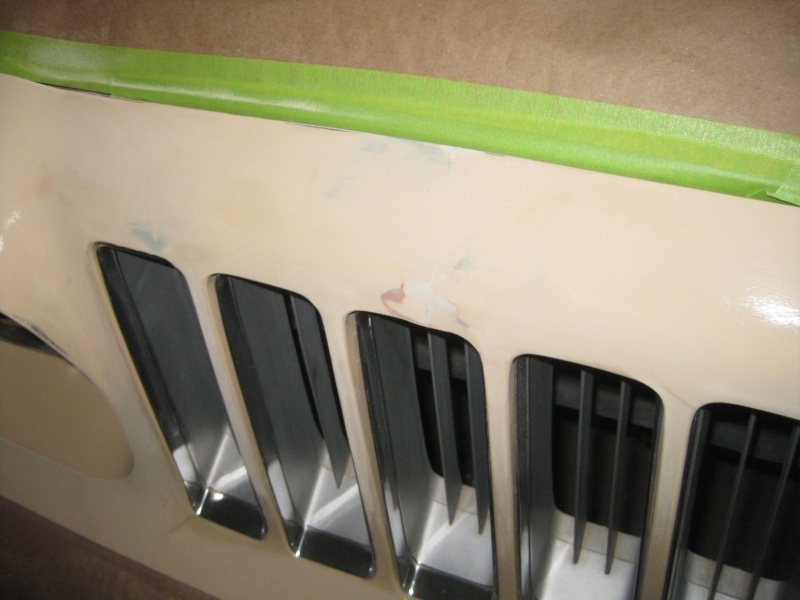 I had begun doing some research on that when I still had the spare Laguna nose, but didn't really find any conclusive information as to what was the best filler that would flex with the bitter cold temps and the hot summer temps. 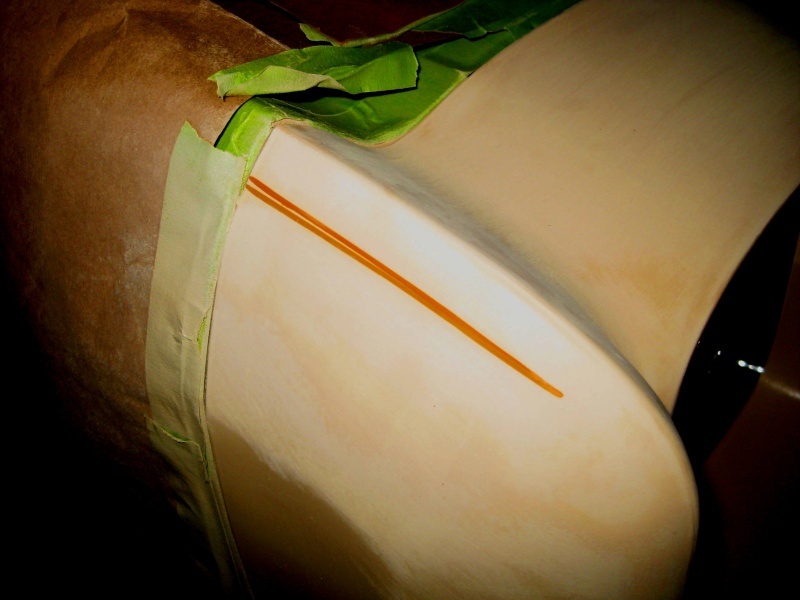 Fusor make urethane repair stuff and its very flexible. I would try that. Is there something wrong with the fiberglass nose? I mean for future reference in case I ever decide to buy a Grand Am. Does it not fit well or look different than the original? 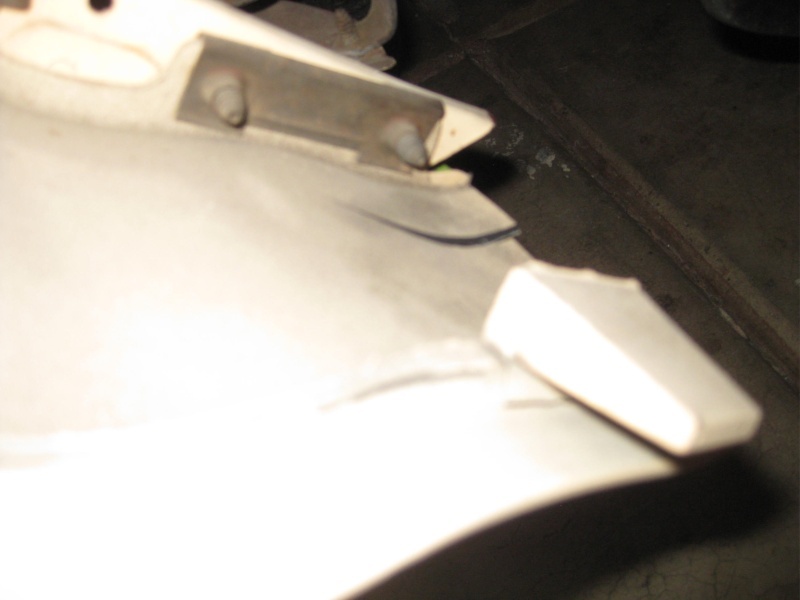 ant7377 wrote: Is there something wrong with the fiberglass nose? I mean for future reference in case I ever decide to buy a Grand Am. Does it not fit well or look different than the original? 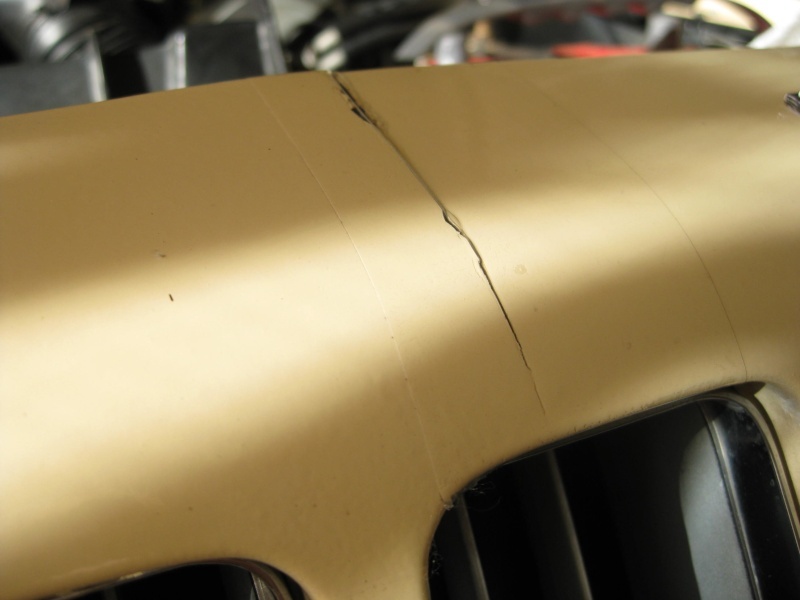 Fiberglass is usually race only with no flex at all, ie instead of a flexing when you pull up a little to far in the garage and bump the bench it will crack and or break. The replacement noses are only from one company ( Motorrealm, used to be In-Design) and like any fiberglass part, it doesn't fit too well right out of the box. You need to work with it to get it to fit. They don't mount with the original fasteners, they use screws. The grill openings are not an exact match, but look ok after install and fitting. So if you have a driver Grand Am like my 73 White one, that's a good option and I have one on it now. 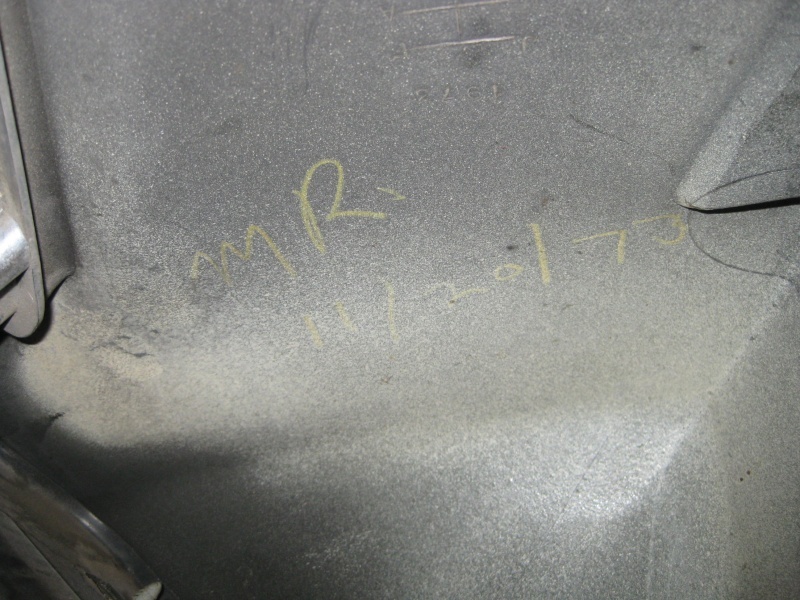 BUT, if you have a 75 one-of-a-kind Grand Am with factory date stickers and chalk marks still on it, then you want to keep the original nose if it's at all possible. 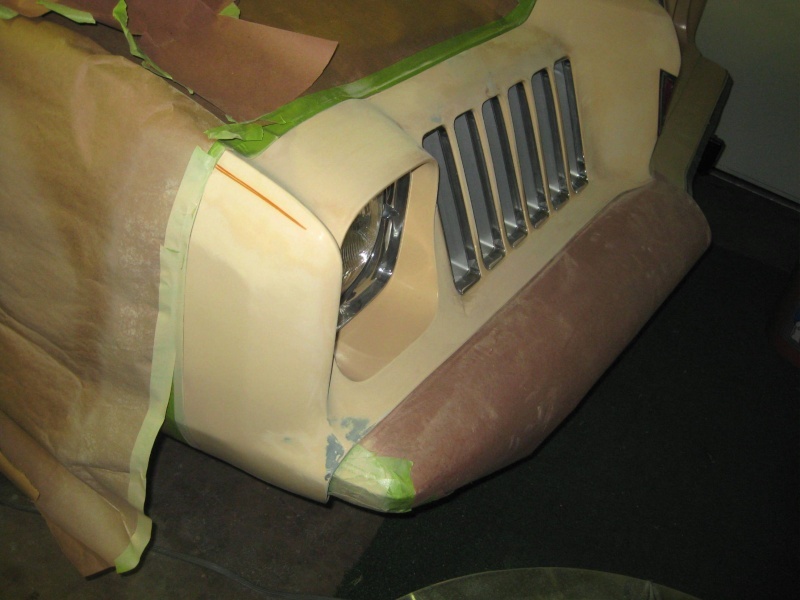 I have used several epoxy products with success on areas that are not under stess, and they have held up well. But the Grand Am nose is VERY DIFFERENT than the Laguna nose. The 'Guna has an extremely thick urethane nose, and is easier to fix with flexable fillers. 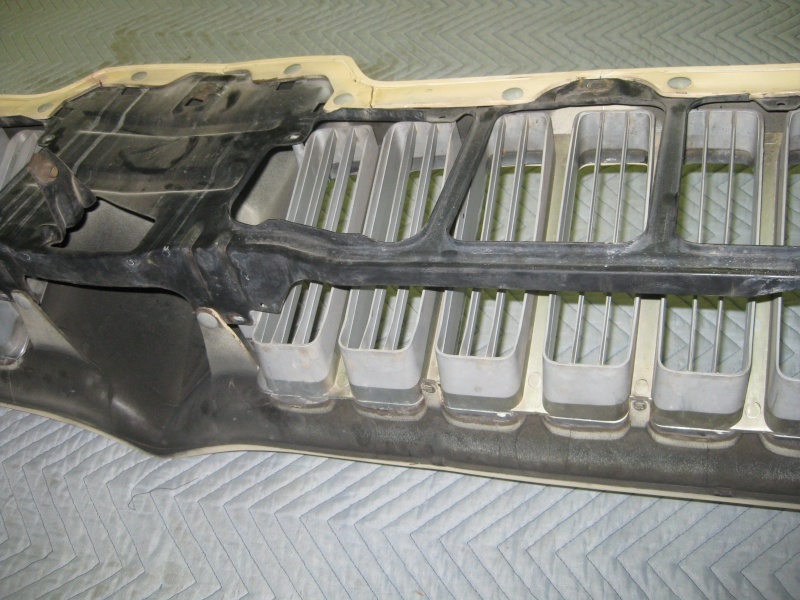 HOWEVER, the GA nose is less then 1/3 of an inch thick and even thinner in the grill bars. plus the grill bars are hollow and flex a bit. The nose originally could be pushed in with your hand and it would pop back out. After almost 40 years, it will shatter into pieces if you try that now. I am using kitty hair fiberglass resin around the sides where the wind really gets it. 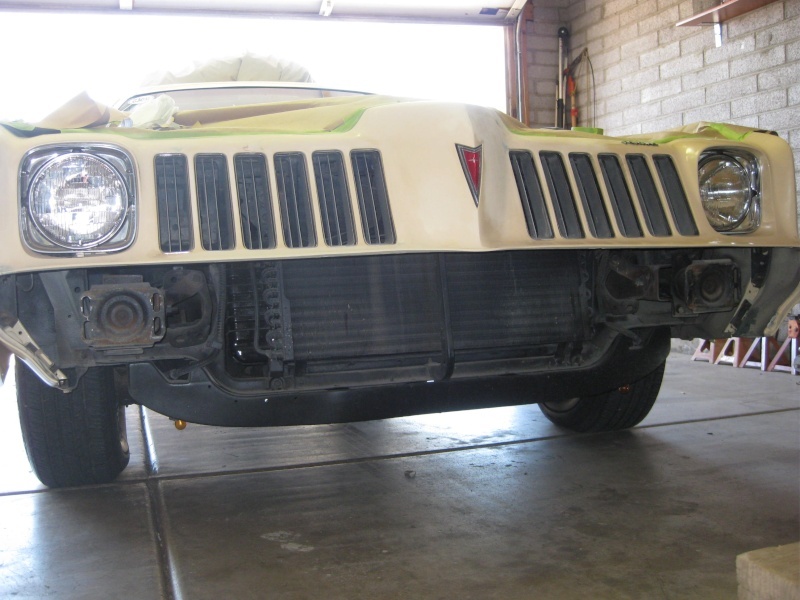 I am hoping to give it more strength there where it wraps around the steel bumper. As long as you give it lots of sanding scratches to grip, it stays well. 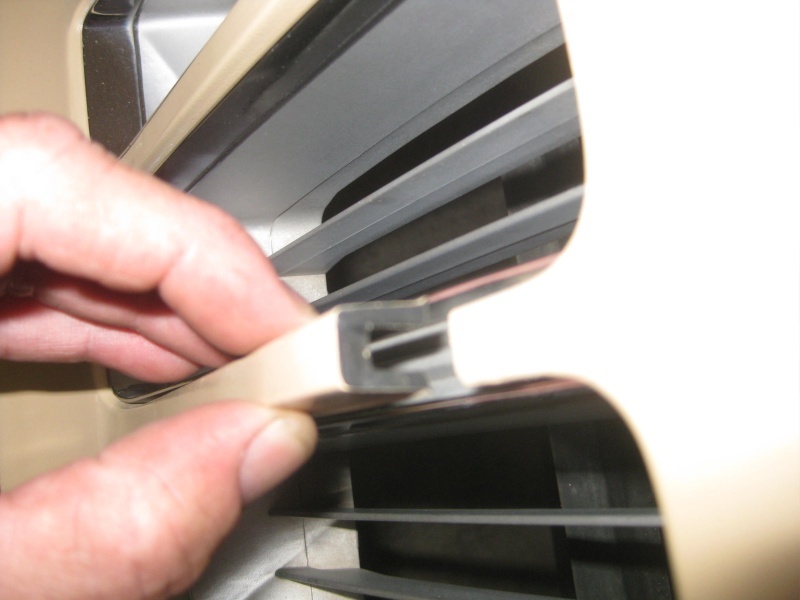 You can see how thin the urethane is by looking at the broken rib I'm holding in the grill opening. WAY different than a Laguna nose! Looks to me that you need something that is strong and still very flexible. Epoxy hardens and when flexed, cracks. I love and swear by 3M 5200. It is an adhesive that remains flexible and rubbery for ever. They even use it to adhere boat hulls to their deck. It does take 48 hours to tack and 7 days to cure. They do have fast dry 5200 and a fast dry 4200. I've never used either one of them. It adheres to anything. Just scuff up the area and put it on. Stuff is unbelievable. Perfect stuff for the urethane nose. Once dry, there is no way of picking or scraping it off. I'd look into that for your repairs. BTW, its pure white in color and no mixing. Use it right out of the tube. Another good use would be for anyone who has a cracked rubber bumper extension. Sounds good, is it sandable/ paintable? Has to be for this fix. I broke more grille ribs trying to get the actual grille out. Not gonna happen i guess. I will have to work around it somehow. Not ideal, but what can you do! Since it stays flexible you wont be able to sand it smooth. It would be best used on the back of a piece and inside the crack. » Which era would Andrew Murray have won a grand slam? » Super league Grand Final tonight ...Who's going to win ?